Chinese President Xi Jinping arrived in Macao on Friday noon of December 19 for celebrations marking the 15th anniversary of Macao’s return to the motherland. Xi, also general secretary of the Central Committee of the Communist Party of China and chairman of the Central Military Commission, will also attend the inauguration of the fourth-term government of the Macao Special Administrative Region (SAR) scheduled on Saturday of December 20. 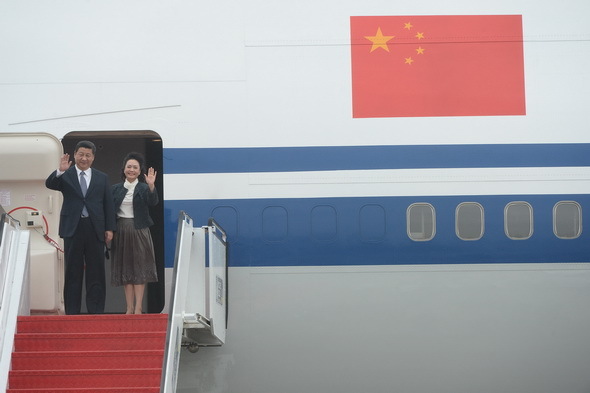 Upon arrival at the Macao International Airport, Xi and his wife Peng Liyuan were greeted by Macao SAR Chief Executive Chui Sai On and his wife Fok Waifun, and two Macao pupils who presented bouquets to them. Xi shook hands with Ho Hau Wah, vice chairman of the National Committee of the Chinese People’s Political Consultative Conference and former chief executive of the Macao SAR. 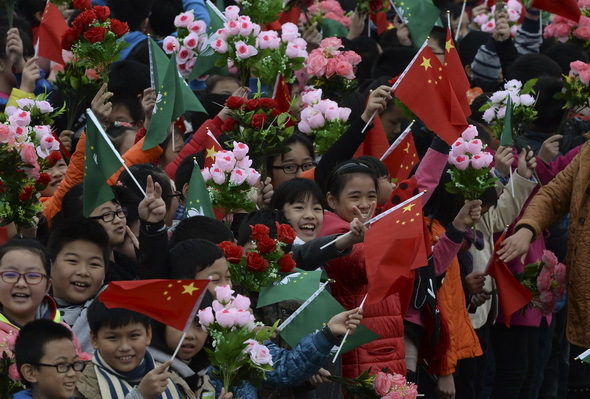 Amid a tune of welcome played by the Macao Police Band, the smiling president waved to hundreds of representatives from various walks of life and school children holding national flags and Macao SAR flags to greet him. 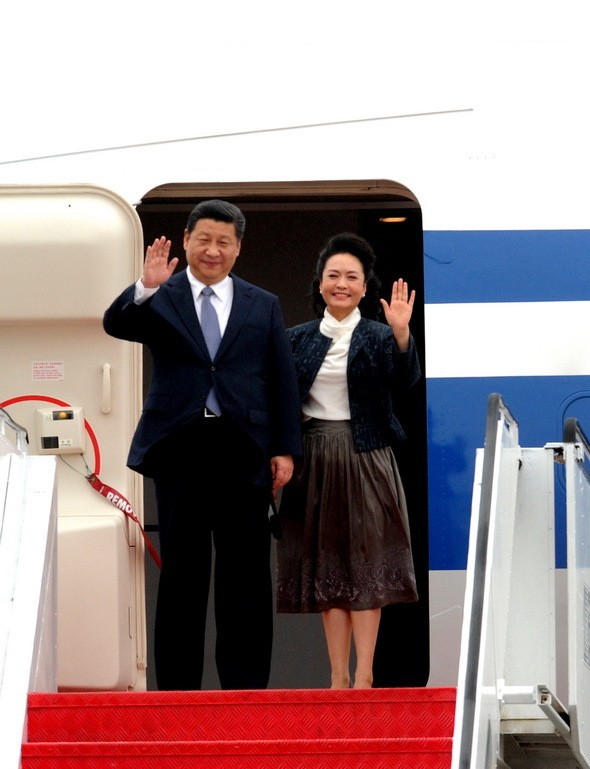 Xi told reporters at the airport that he was delighted to visit Macao again since his last trip to the SAR five years ago. Xi said he was willing to visit local residents, review with them the development of the Macao SAR over the past 15 years and discuss plans for Macao’s long-term development. The president expressed his belief that Macao will progress in a more steady manner on the right track, guided by the “one country, two systems” policy and the Basic Law. Chinese President Xi Jinping met with Chui Sai On, chief executive of the Macao Special Administrative Region (SAR), here on Friday of December 20. Xi arrived on Friday noon for celebrations marking the 15th anniversary of Macao’s return to the motherland and the inauguration of the fourth-term government of the Macao SAR scheduled on Saturday. At the inauguration ceremony, Xi will administer as Chui, 57, is sworn in as the fourth-term chief executive. Chui was reelected on August 31.